*This site contains Veterans Records at the end. SEE Pickett's History of Alabama: This work was published in 1851. Its copyright has expired. 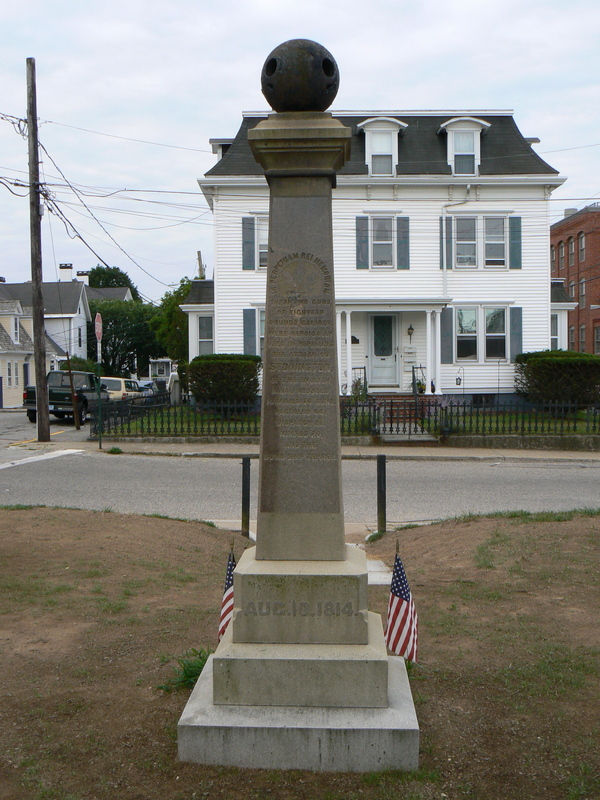 Stonington honors the successful defense of the town against British warships during the War of 1812 with a granite monument. The monument’s north face also contains the Latin inscription “In perpetuam rei memoriam” (In everlasting remembrance of the event). 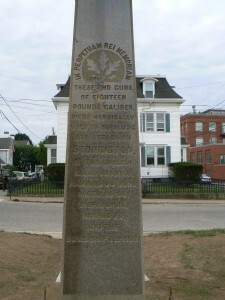 The monument’s south face honors “the defenders of the fort,” and lists the names of 10 residents who presumably manned the cannons during the English attack. The monument commemorates the defense of Stonington during a British naval bombardment that lasted between August 9-12, 1814. A group of five British warships anchored off Stonington and shelled the city. No lives were lost in the attack, but 40 local buildings were damaged. The two cannons flanking the monument were returned to the monument site on Tuesday, August 3, after a two-year restoration at Texas A&M. 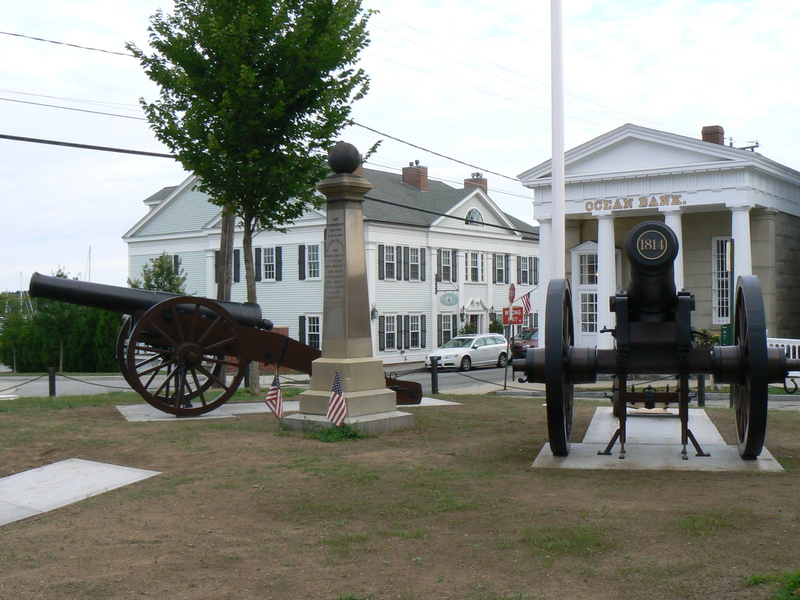 The 18-pounder cannons, cast at West Point Foundry in the 1780s, will be rededicated in ceremonies Saturday. Eshelman, Ralph, Scott S. Sheads, and Donald R. Hickey. War of 1812 in the Chesapeake: a reference guide to historic sites in Maryland, Virginia, and the District of Columbia. Baltimore: Johns Hopkins University Press, 2010. Garitee, Jerome R. The Republic's Private Navy: The American Privateering Business as Practiced Baltimore during the War of 1812. Middletown, CT: Wesleyan University Press, Published for Mystic Seaport, Inc., 1977. George, Christopher T. "Mirage of Freedom: African Americans in the War of 1812." Maryland Historical Magazine 91 (Winter 1996): 426-50. Annotations / Notes: Black men fought for both the American and British forces during the War of 1812. For example, free blacks who constructed earthworks and black sailors in the U.S. Navy helped to deflect the British attack on Baltimore in 1814. Free blacks and slaves who decided to help the British hoped to secure freedom in return for their services. Norton, Louis Arthur. Joshua Barney, Hero of the Revolution and 1812. Annapolis: Md. : Naval Institute Press, 2000. Annotations / Notes: Joshua Barney (1758-1818) was a naval hero in both the American Revolution and the War of 1812. Aside from his military exploits, this patriotic Marylander's life is closely associated with the history of the American flag. Barney is best known for the spirited action of the barge men under his command at the Battle of Bladensburg in 1814. Alone among the Americans at the battle, Barney and his men fought bravely against a superior British force. Wright, F. Edward. Best Source for History of Maryland militia War of 1812. Lemmon, Sarah McCulloh North Carolina and the War of 1812 Raleigh, NC: State Department of Archives and History, 1971. History of State of Washington begins with Lewis and Clark Expedition and Oregon Trail. SEE Site named Trailbrazers for Information about these. Act of Congress of Sept. 28, 1850. Copied from rolls in the Auditor’s Office at Richmond. Present, and Charter Members, of the National Society, United States Daughters of 1812, 1924. T. Moore, Robert H. The Charlottesville, Lee Lynchburg and Johnson’s Bedford Artillery. V. Wallace, Lee A. The Petersburg Volunteers, 1812–1813. Arlington, VA: J.C. Weaver, 1998. W. Wallace, Lee A. The Petersburg Volunteers, 1812–1813. Arlington, VA: J.C. Weaver, 1998. X. Town of Cheektowaga, Erie County, New York. War of 1812 Cemetery. 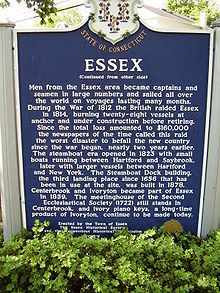 http://en.wikipedia.org/wiki/1812_War and official US army and navy history websites: http://www.army.mil & http://www.history.navy.mil. Guide to Genealogical Research in the National Archives of the United States. Ed. Anne Bruner Eales and Robert M. Kvasnicka. 3rd ed. Washington, DC: National Archives and Records Administration, 2000. Call # Local History Ref Z5313.U5 U54 2000. Encyclopedia of the War of 1812. Ed. David S. Heidler and Jeanne T. Heidler. Santa Barbara, CA: ABC-CLIO, 1997. Call # Ref E354.H46 1997 . Neagles, James C. U.S. Military Records: A Guide to Federal and State Sources, Colonial America to the Present. Salt Lake City: Ancestry, 1994. Call # Local History Ref Z1249.M5 N43 1994 See lists of resources organized by state and also by conflict. Register of Federal United States Military Records: A Guide to Manuscript Sources Available at the Genealogical Library in Salt Lake City and the National Archives in Washington, DC. Bowie, MD: Heritage Books, 1986. Call # folio CS68.R44 1986. Schweitzer, George K. War of 1812 Genealogy. Knoxville, TN: Geo. K. Schweitzer, 1983. Call # Local History Ref Z5313.U5 S31 . Heitman, Francis. Historical Register and Dictionary of the U.S. Army. Urbana: University of Illinois Press, 1965. Call # Local History Ref U11.U5 H6 1965 (2nd floor open shelf). Reprint of 1903 edition. Lists officers who served in the War of 1812. Index to Compiled Service Records of Volunteer Soldiers Who Served During the War of 1812. National Archives, 1965. Peterson, Clarence Stewart. Known Military Dead During the War of 1812. Baltimore: C.S. Peterson, 1955. Call # Local History Ref E359.4 P48 1955 . The Roster of the General Society of the War of 1812. 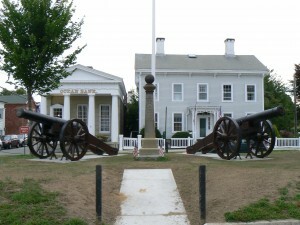 Mendenhall, PA: General Society of the War of 1812, 1989. Call # E351.3 R68 1989. Census of Pensioners for Revolutionary or Military Services. Washington: Printed by Blair and Rives, 1841. Compiled in 1840. Call # F83270.91. Lists names and ages of pensioners, along with names of their heads of households. Organized by state and county. Also available online. White, Virgil D. Index to War of 1812 Pension Files. Waynesboro, TN: National Historical Publishing Co., 1989. Call # Local History Ref E359.4 W45 1989 (2nd floor open shelf). British Aliens in the United States during the War of 1812. Comp. Kenneth Scott. Baltimore: Genealogical Pub., 1979. Call # CS68.S33.